I chose this book because I wanted a crime novel that I would be able to race through fairly quickly, but which would still have a bit more to it than a standard murder mystery. Unfortunately, it didn't entirely meet those criteria. 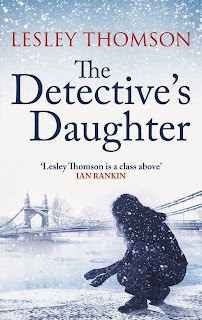 The set-up is intriguing and the main character is refreshingly different from the average heroine, but I didn't find The Detective's Daughter by Lesley Thomson a gripping read. Stella Darnell is an independent, practical, emotionally rather cold - some might even say hard - woman with a successful contract cleaning business. When her semi-estranged father Terry, a recently-retired police officer, is found dead from a heart attack in an unfamiliar area, Stella begins what is for her the tiresome and irritating task of sorting out his belongings and personal affairs. 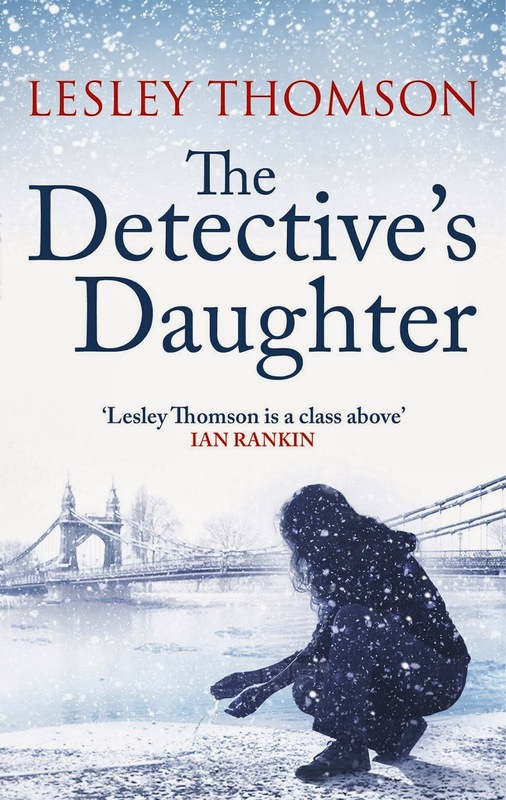 During this process she discovers that Terry, in his own time, is still secretly investigating a notorious 'cold case' - the murder of a pretty, middle-class young mother, Kate Rokesmith, that took place in 1981. Terry's own house is just a minute or two from the Rokesmiths' former family home; moreover, Stella has a regular cleaning contract at a home in the same street, a home now occupied by an older woman with apparent dementia who was a key witness in the Rokesmith case. Stella, full of repressed guilt and confusion over her fractured relationship with Terry, finds herself attempting to solve the case herself - aided by a mysterious employee, Jack Harmon, whose multiple neuroses and OCD-related disorders are less problematic than his secretive, often duplicitous behaviour. Stella herself is in some ways brave choice as a main character, and I think one of the strongest aspects of the book. She's selfish, unglamorous, rather joyless, lacks perception when it comes to others' motives, and has no real interests, let alone passions, beyond her cleaning company. That said, Lesley Thomson still manages to make her an interesting anchor for the story and gives her enough depth to make us care about her. Jack Harmon, on the other hand, is pure caricature, as is Stella's handsome dentist and occasional dinner-date, Ivan Challoner. The narrative is pieced together from sections told from different perspectives and from different periods, which would have worked nicely if it had been less clumsily executed, but for me it simply made the story feel disjointed, as if the writer couldn't find a more cohesive way of combining the different plot strands. Thomson seems to be keen on detail, which is a necessary trait in a crime writer, but here so much of the detail in the descriptions of characters' daily business is simply superfluous that I became swiftly bored. There is also an entire subplot involving Stella's former partner which added nothing to the story but more pages. I also guessed two big revelations - one being the identity of the murderer - very early on. There are few things more disappointing than the murderer being one of those characters who clearly has no other reason at all be in the book than to be revealed as the killer, and being able to guess the murderer is certainly not something to celebrate in a crime novel. I could possibly have forgiven some of this book's faults if it had had some pace to it; similarly I could have forgiven the lack of pace if the plot and characters had been more engaging and original. But as it was, this book came to feel like something of a chore.